Build your own farm from scratch just like Old MacDonald. "Best game ever, I love it. Can't stop playing. Love Farm Frenzy 2, telling all my friends." 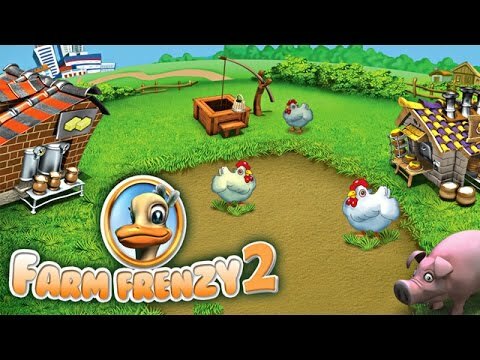 Farm Frenzy 2 will give you a newfound appreciation for Old MacDonald. With a click, click here and a click, click there, you’ll be feeding chickens, collecting eggs, stocking up your warehouse and shipping your goods off to market. Earn enough money to upgrade your buildings, and buy new equipment that can manufacture the goods consumers want. With colorful 3D graphics and heel-kickin' music, Farm Frenzy 2 offers a bumper crop of fun.